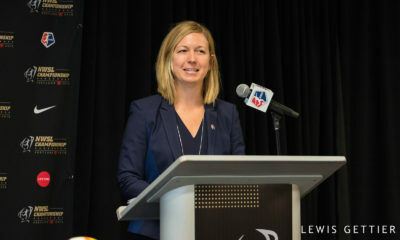 The allocations are finally in and the eight NWSL teams now have a good idea what they will look like when the inaugural season kicks off sometime this Spring. Here’s a look at who wound up where. Outlook: The Breakers came up aces landing one of the brightest young Americans scorers when Leroux was shipped east. Mitts and O’Reilly were reasonable guesses to land in Beantown since Mitts was popular there in WPS and O’Reilly’s husband is based there. Leon, 20, and Guajardo are young players with US college experience. Olympic vet Wilkinson will be a strong defensive building block. Santiago gives the Breakers one of two Mexican keepers in the pool. Outlook: It is safe to say the Red Stars will be swimming upstream as they dive into free agency and the draft. Boxx returns to the Midwest where she played at Notre Dame, but she is also 35 and on the back end of her career. Winters is and up-and-comer with less national team experience than anyone else in the pot. 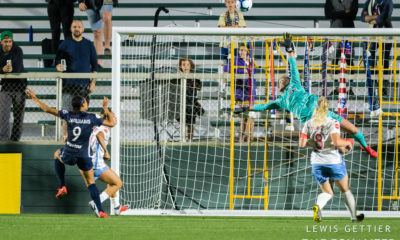 LePeilbet, when healthy, is as good a center back as there will be in NWSL, the key being “when healthy.” On the positive side, McLeod should allow coach Rory Dames to rest easily when it comes to the keeper position and 34-year old Maribel Dominguez is a proven scorer. Moscato has played in Europe and with the Whitecaps. Garza assisted on one of Mexico’s three goals at the 2011 World Cup. 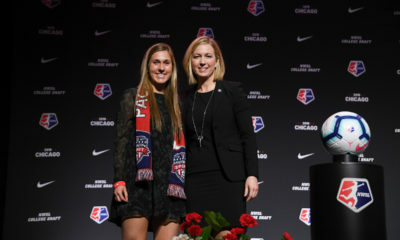 Outlook: Cheney (Indianapolis) and Sauerbrunn (St. Louis) make sense in Kansas City as two players with Midwest roots (even if not directly involved with KC). Barnhart should be thinking about being in goal for the 2015 World Cup and should be highly motivated to make her mark in NWSL. Sesselman’s name should be familiar to anyone who followed WPS. Cuellar scored a dozen goals for Oklahoma last fall and became the first player from that program to be named Big 12 Offensive Player of the Year. Diaz may need an introduction to U.S. soccer fans but does have international experience with Mexico. Scott already has more than 50 caps for Canada. 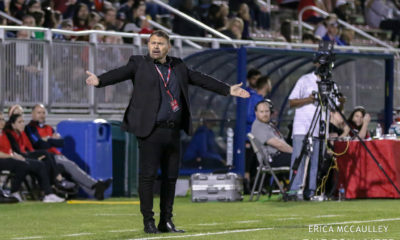 Outlook: Before anyone sends any hardware to Portland, it was only 11 years ago when the San Diego Spirit were viewed as early WUSA favorites when they were the only team to be allocated three full-time U.S. national team starters. They not only missed the playoffs, they were dreadful. That said there is no question the Thorns got the best group of allocated players starting with World Cup stars Morgan and Sinclair. Behind them, Buehler anchoring the defense in front of LeBlanc should make their goal difficult to penetrate. Heath will be in the midfield trying to connect those parts. Saucedo and Sandoval are also defenders. 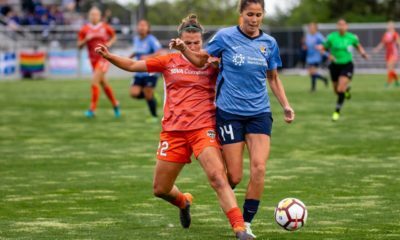 Outlook: The Portland-Seattle rivalry should have no trouble spilling into the women’s game with a deep group of allocated players on the way to the Emerald City as well. Rapinoe had the highest arc of any player besides Morgan since the World Cup. Solo needs no introduction as the best goalkeeper on the planet and Rodriguez has her moments of inconsistency but is still able to finish from anywhere on the field. Noyola won the Hermann Trophy in 2011 and was a high WPS draft pick in ’12. Kyle has 65 appearances with the Canadian national team and has been in the system there since she was 14. Zurrer is a center back just coming into her prime years and Ruiz is a Mexican veteran at 29 who scored the bronze medal winning goal two years ago at the Pan Am Games. Outlook: Rampone is the last woman standing from the ’99 World Cup squad yet she still stands tall as a very good — even if no longer great — central defender. O’Hara is a former Hermann winner who has developed into one of the more versatile players in international soccer. Loyden looked like she might sneak into the U.S. no. 2 spot before a disappointing 2011 put her off track. Ocampo, formerly of the Atlanta Beat (WPS), scored against England in the World Cup. Schmidt is closing in on 100 caps and won’t be 25 until the end of June. Booth is a defender with 44 caps dating back over a decade. Rangel will turn 21 just ahead of training camp. 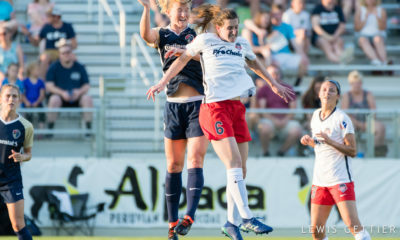 Outlook: Three familiar faces return to Washington as Harris, Krieger, and Lindsey all played for the old Washington Freedom. They will combine with Garciamendez (part of Stanford’s 2011 national championship team ) and Gayle to give the Spirit a decidedly defensive core. Matheson however, scored one of Canada’s most famous goals to beat France and secure the Olympic bronze. Worbis is another Mexican veteran at 29. Outlook: Bucking speculation Wambach would land in Portland, she was sent back home where she will be a certain drawing card at Sahlen’s Stadium alongside Lloyd, who has had a suspect club career surrounding a glorious run with the national team. Perez might be the best known Mexican player. She starred at the University of Washington and most recently played in budding women’s soccer hotbed Iceland. Tajonar is the other Mexican keeper. On the Canadian front, McCarthy is more developmental with only four caps at age 21 while Robinson is capped 50 times over, mostly as a reserve. The Flash were the team shortchanged a player due to only 23 U.S. players being subsidized at this point.